The United States currently has a population of over 313 million people; we are looking to partner with a very small percentage of those individuals – 7,000. Ministry Partners share our vision that our public schools are in need of transformation and that transformation needs to bubble up locally through educators and friends of education like you. 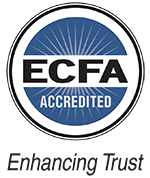 Ministry Partners commit to support Christian Educators Association International’s efforts to transform our schools through God’s Love and Truth financially and in prayer. Tackling issues in the courts to assure the religious freedoms of educators, parents, and students. Publishing and distributing materials to encourage and equip those outside our membership ranks to openly live out their faith within the schooling culture. Conducting workshops and seminars across the country supporting CEAI’s Mission To encourage, equip, and empower educators according to Biblical Principles. To keep the above efforts in prayer and share with those in their sphere of influence about the many issues impacting public education today. To make a monthly tax deductable donation of at least $25 to the Ministry of CEAI. Insider communication about what is happening across the country and locally within the schooling culture and what they are doing about it. Access to many of the resources accessible to members (newsletters, magazines, devotionals, and more). Complete the Authorization for Monthly Automatic Deduction form today! TOGETHER WE CAN POSITIVELY IMPACT THE LEADERS OF TOMORROW THROUGH IMPACTING OUR SCHOOL CLASSROOMS TODAY!